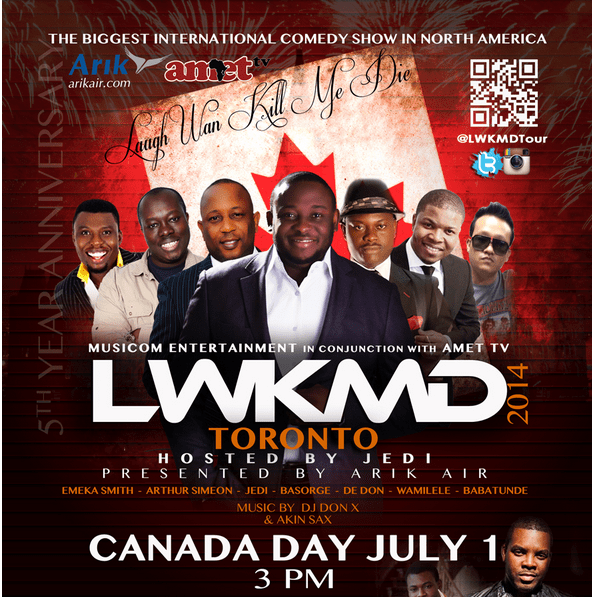 Hey Comedy Lovers, the LWKMD (Laugh Wan Kill Me Die) Comedy tour is embarking on its North American Tour and you do not want to miss it. It is going to feature some of the bets African comedians straight out of the motherland. If you have never been to a show with African comedians before, I assure you a good time. I have seen some of them live and boy oh boy was I cracking my rib all through. Hilarious folks I tell ya. 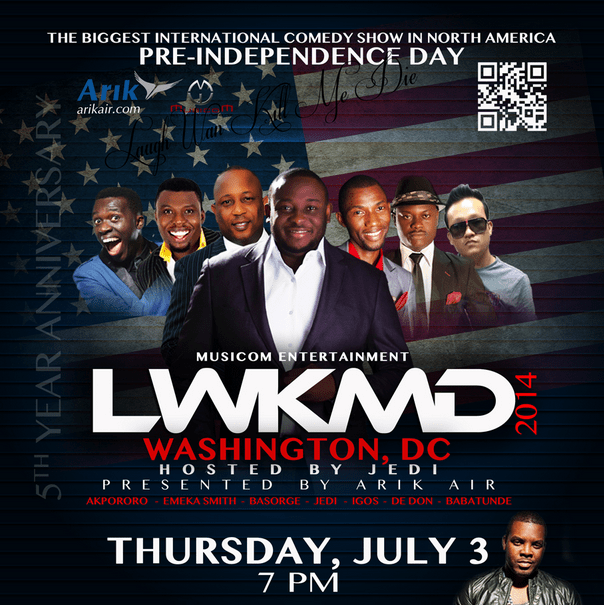 Some of the names billed to perform are Akpororo, Wamilele, Igos, DeDon, Basorge, Arthur Simeon, Emeka Smith, Seyi Brown and Jedi who is also the main act. They will be performing in Toronto, Canada, Houston, Texas and Washington, DC with more cities to be added soon. Check out the event flyers below and trust me when I say, you need to get your tickets early. Ill add a ticket link below. Prev Justin Bieber Got Baptized?